Norwegian Jade has had the most unusual career of Norwegian Cruise Line's Jewel class ships. Built in the same German shipyard as her sisters, she was nonetheless authorized to fly the flag of the United States and entered service as Pride Of Hawaii in 2006. She then cruised around Hawaii for two years as part of Norwegian's NCL America operation. 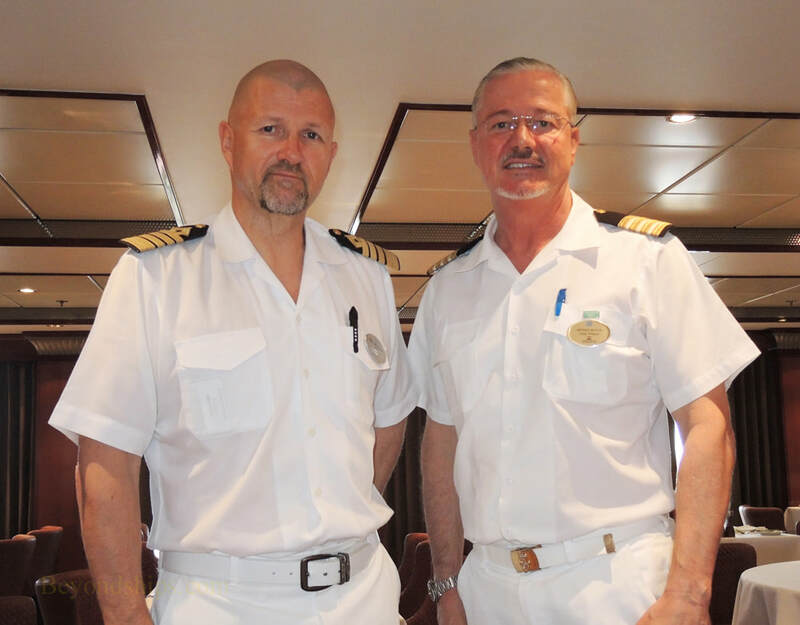 We spoke with Captain Kim Karlson and Hotel Director Mirsad Bucuk to find out more about the Jade. As noted above, the Jade is a Jewel class ship. Her close sisters are Norwegian Jewel, Norwegian Pearl and Norwegian Gem. Norwegian Dawn and Norwegian Star were built on the same hull design but are slightly smaller in terms of gross tonnage. The Jewel class ships are medium size ships. They are not small but are not as big as the most recent Norwegian ships such as Norwegian Escape. “This is a fabulous ship, not too big, not too small,” commented Captain Karlson. In early 2017, the Jade underwent a refit in a dry dock in the Bahamas. The goal was to give her a more contemporary look and to make her more like her Jewel class sister ships. “The Jade had a 100 percent Hawaiian look decor. We went into drydock for three weeks and removed all the Hawaiian décor from the chandeliers, the lights, the carpets, the paintings. She is totally different now, inside.” explained Mr. Bucuk. ​“ The Garden Cafe, we removed everything, the tiles, the carpets, the seats so everything is new.” The other restaurants also received new furniture, carpet and decoration. As Pride of Hawaii, the ship only did Hawaiian cruises. After the ship became Norwegian Jade, “she was pretty much in the Mediterranean until now. We did this winter and the previous one in the U.S “ Captain Karlson said. In the Spring of 2017, Jade moved to Northern Europe for the first time, doing cruises out of Southampton, England and Hamburg, Germany - - a much different cruise experience than what she had been doing in the Caribbean. The nationalities are also different. “In winter in the Caribbean, it is almost 100 percent U.S.” Captain Karlson noted. In Europe, it is an international mix. On cruises out of Southampton, British guests may be in the majority whereas in cruises out of Hamburg, there may be a majority of German guests. However, on some cruises such as cruises around the British Isles, North American guests may dominate.